Do you have a fisherman in your life? 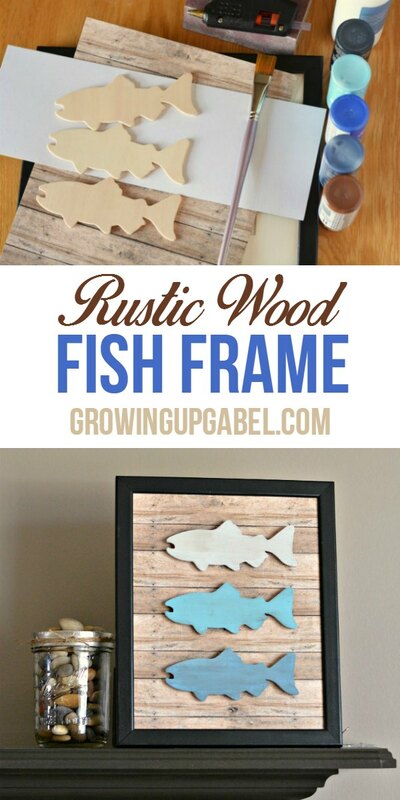 Make him this adorable rustic fish frame for a homemade Father's Day gift! One of my husband's favorite past times as a kid was fishing in the Long Island sound. He's passed on that love of fishing to our kids. Yes, even in the desert we can go fishing! This year it's all about the fish! 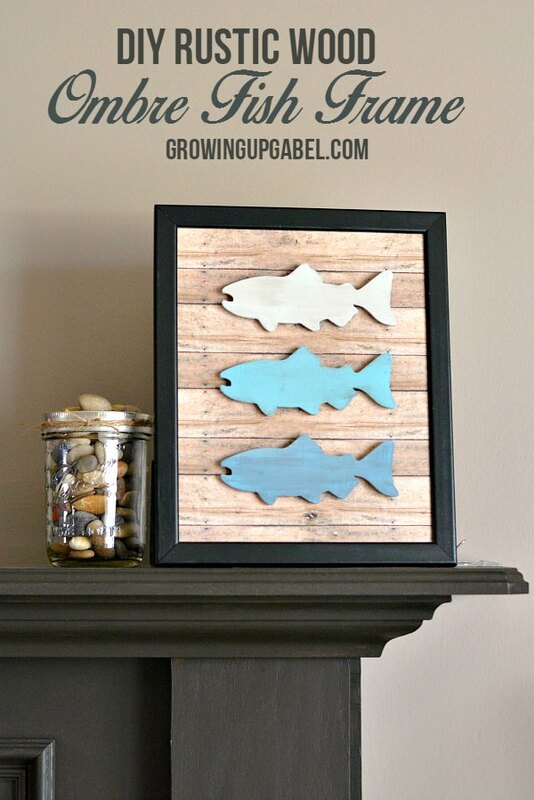 This is a super easy craft that even the youngest child can help make. Protect your work surface with a piece of wax paper. 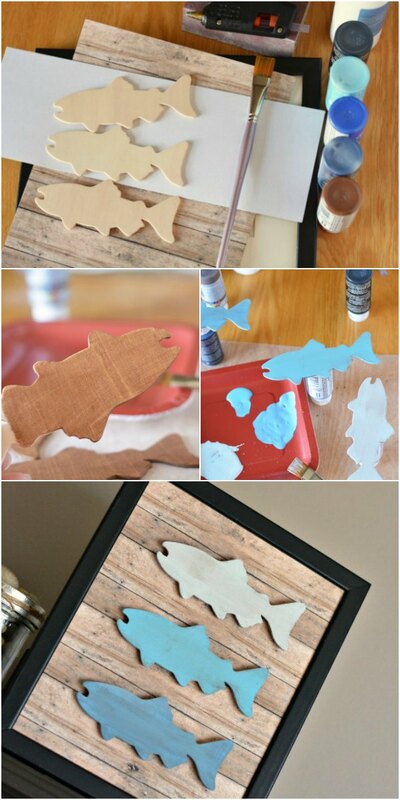 Use a paint brush to paint each fish brown. Only one coat is needed. Let dry completely. 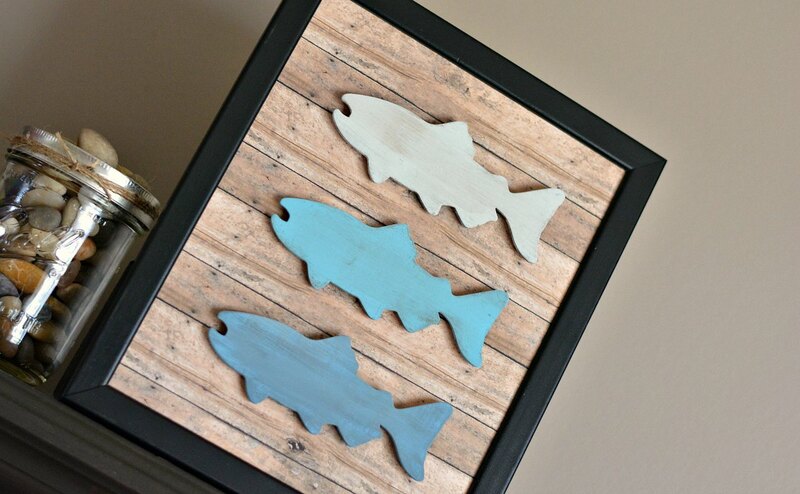 The brown is the base to give the fish a rustic look once painted blue. 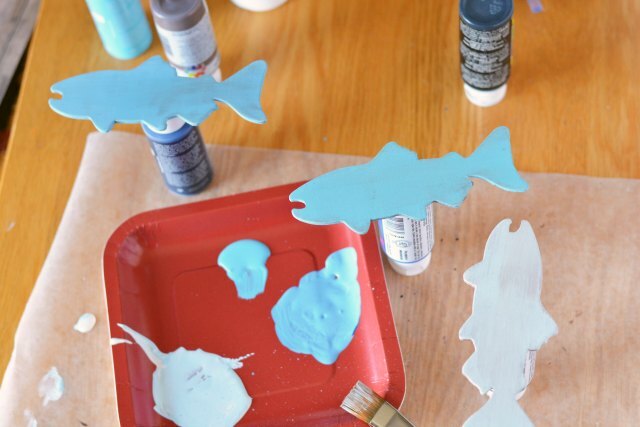 Paint each fish a different color. Apply a thin coat and allow the brown base coat to somewhat show through, creating a distressed look (without the work). Set aside to dry completely. 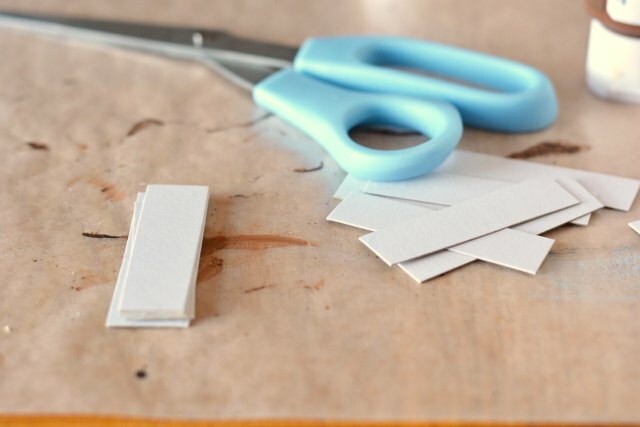 Cut cardboard about 2″ long by 1/2″ wide. Stack a few pieces on top of each other. Use around six per fish. This will give the craft a 3D look and feel. Glue together with hot glue. Affix to the back of the fish with hot glue to bump it away from the paper. Place your paper into the frame, in front of the glass. 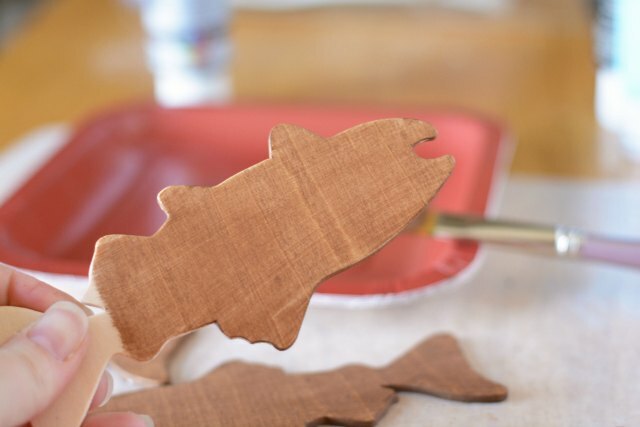 Lay on a flat surface and attach the fish with hot glue. 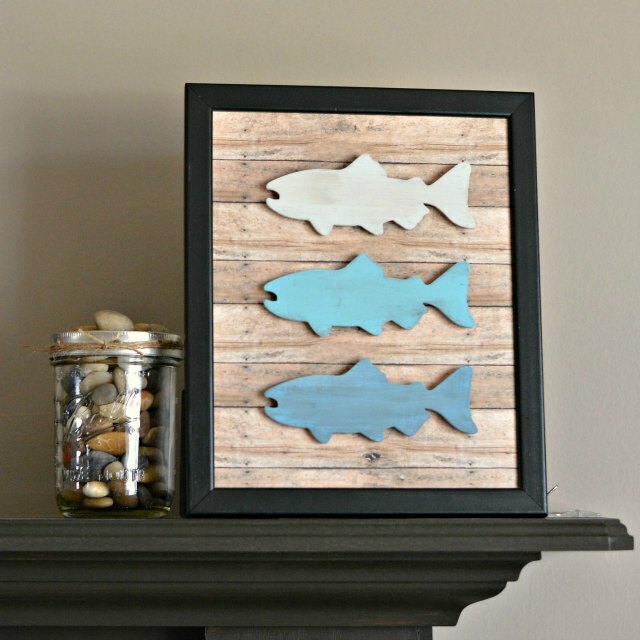 Let set and give to your favorite fisherman! What a fun idea! It’s a great Father’s Day gift idea or birthday idea from the little ones. Thanks for sharing at Snickerdoodle. We’ll be featuring this at tomorrow’s party. Hope to see you there! 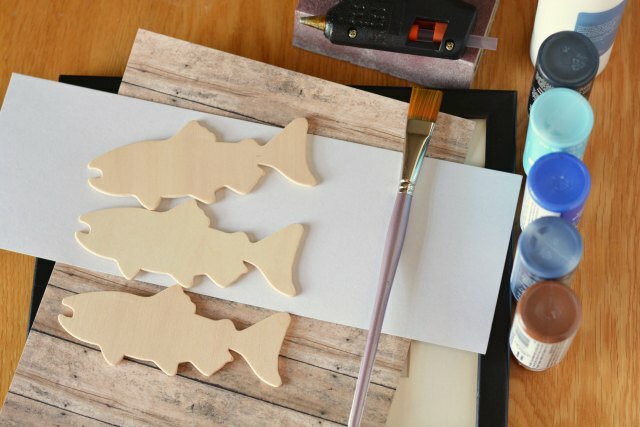 Love your ombre fish, it is an easy doable project for pretty much anybody to make.. glad you shared. Our grand daughters used to love to fish with their Grandad when they were younger. 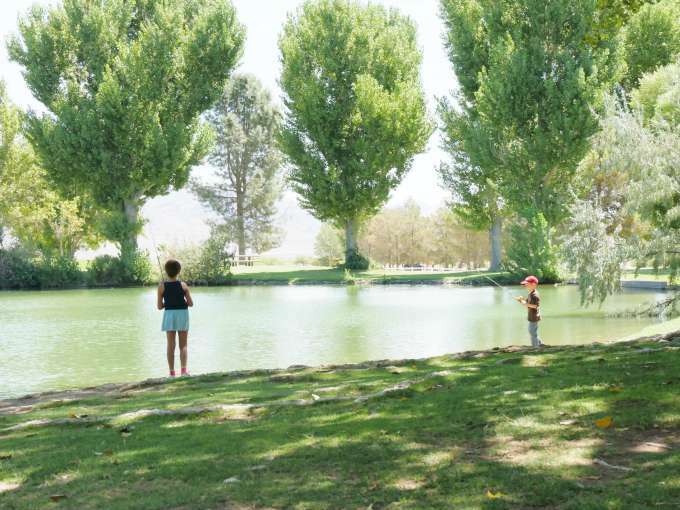 We used to go camping a lot and they all had great time fishing. Too bad they grow up so quickly and we quit camping.. Sure do miss going. Love this! sharing . . . thanks for linking with Frugal Mommas – this week is now open! Great craft for the kids! I love this! Yes, it’s perfect for kids to help with!